Having been under the weather – no pun intended- for a few weeks, my energy level has been at an ebb. Typically, I would have been out and about snapping photos of the polar vortex’s impact on New England and sharing that information here. However, I channeled my energy into my work – which by the way included a very pleasant interview with Vladimir Petrenko. 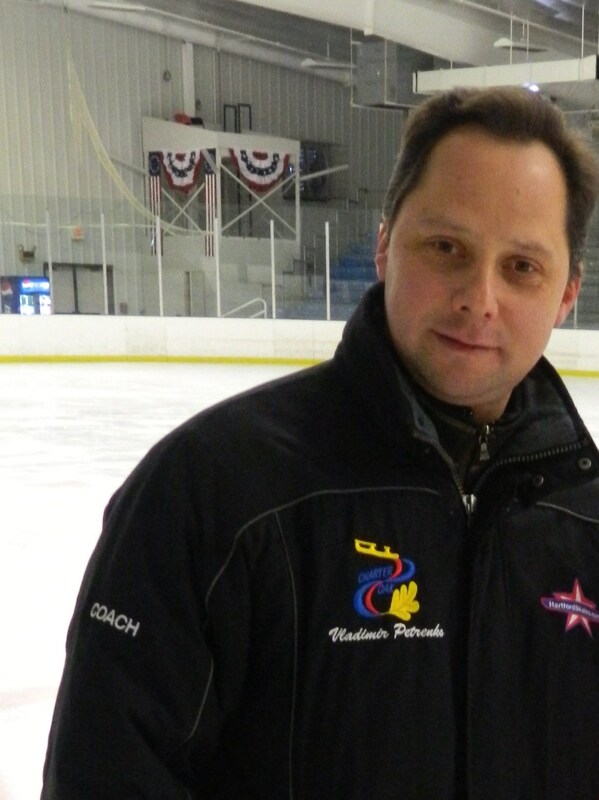 Now a skating coach in Connecticut, he is a former competitive figure skater himself and the brother of Olympic gold medalist Viktor Petrenko. 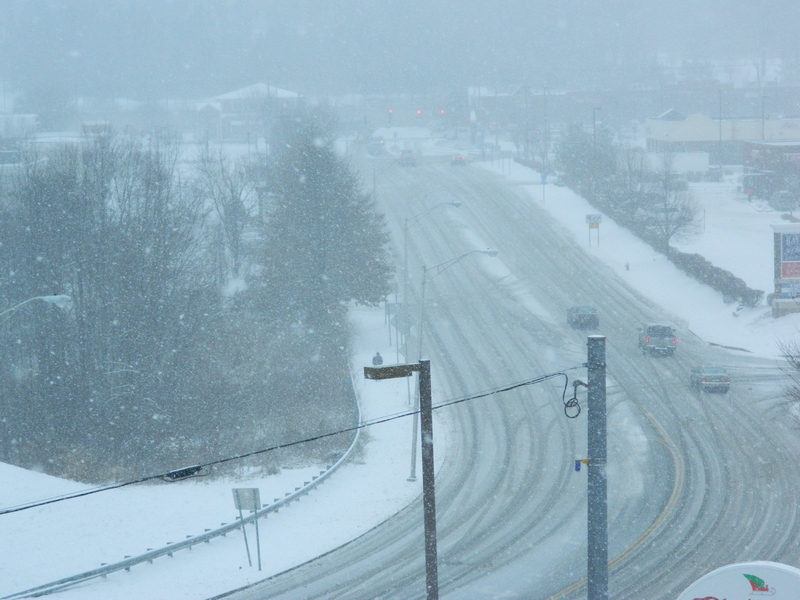 Bird’s eye view of Hale Road, Manchester, CT as the Jan. 2 , 2014 snowstorm gets underway. 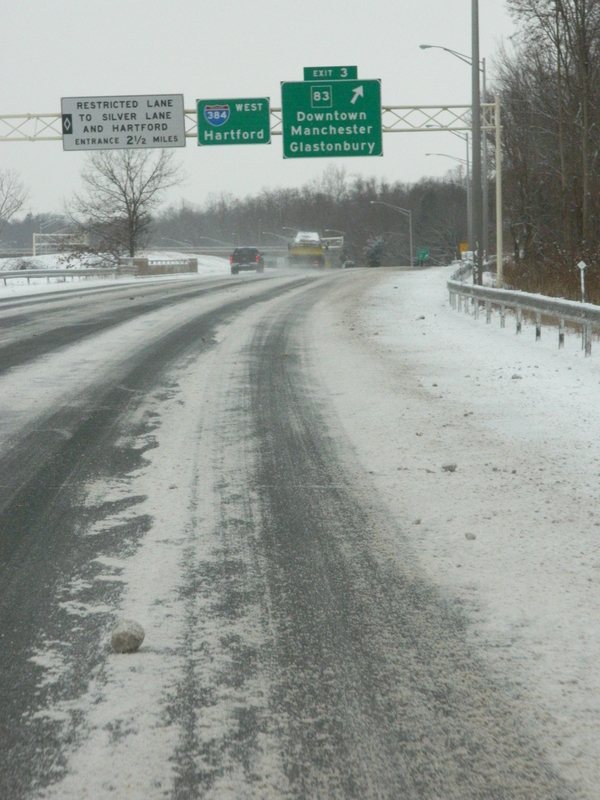 The 384 connector to Hartford. 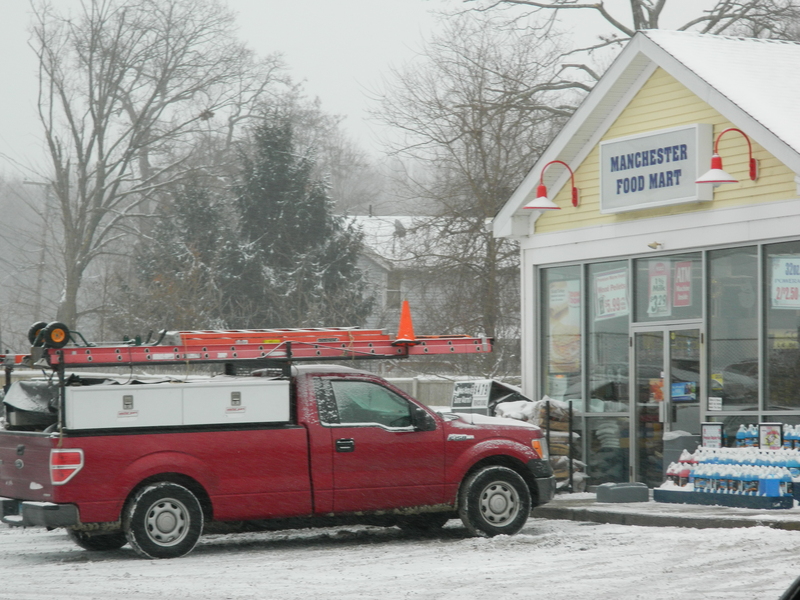 Snow blanketing the front lawn of the former Cheney mansions in Manchester, CT.
Stocking up at the convenience store. I did take some blog pics on January 2 just as a substantive snowstorm was getting underway following an already moderate snowfall – both coupled with sub-zero and single digit temperatures brought on by what else – that polar vortex. 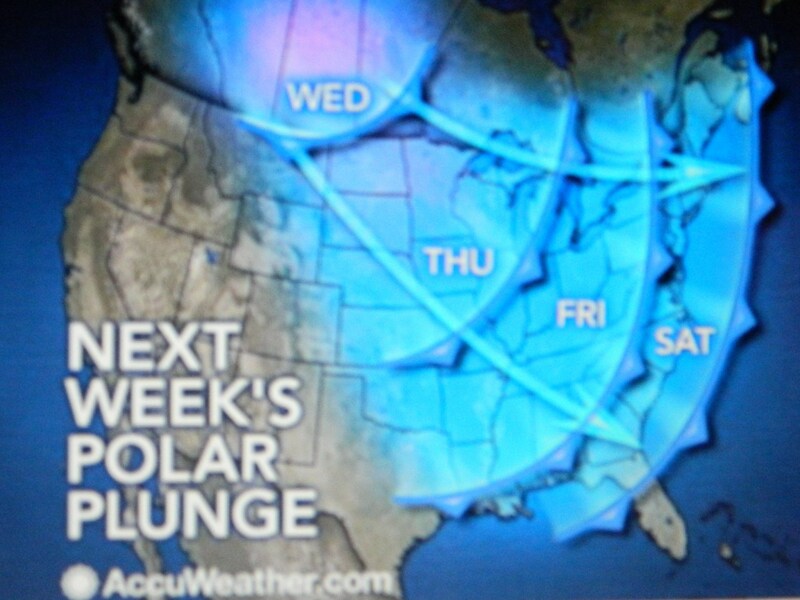 AccuWeather is reporting that after the current warm -up signs of another “Artic blast are on their way” and may bring a “glancing blow”, again from the polar vortex to the U.S. East Coast late next week. 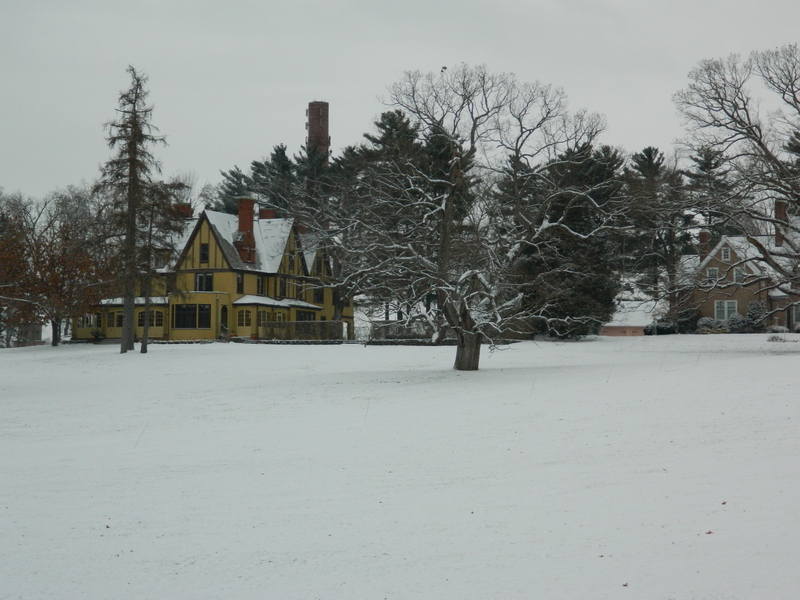 Thermometers are not expected to dip as low as they did between January 5 – 8 but more snow may accompany the colder air. 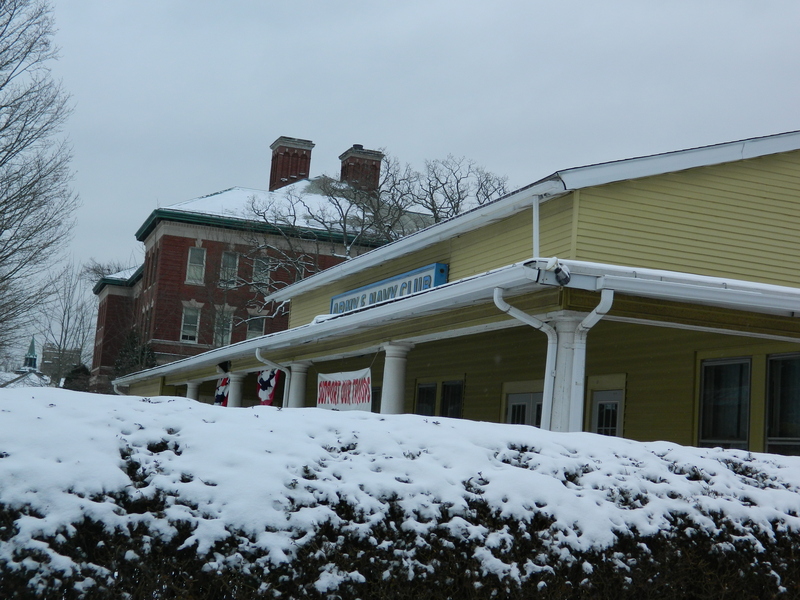 Behind snowy bushes, the Army Navy Club in downtown Manchester.